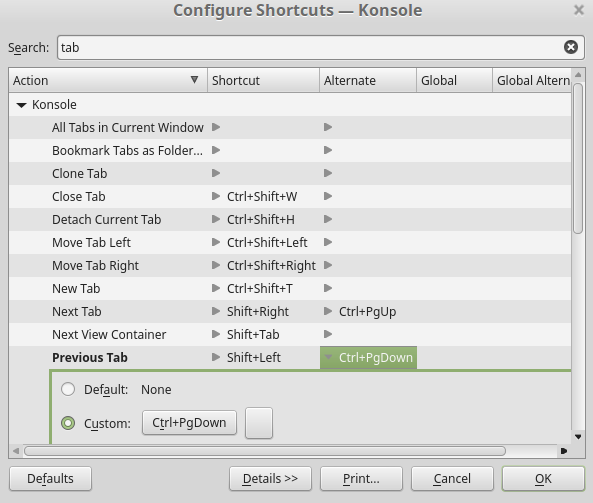 Konsole has support for tabs like other terminal emulators. The question is how to switch between tabs using a keyboard. 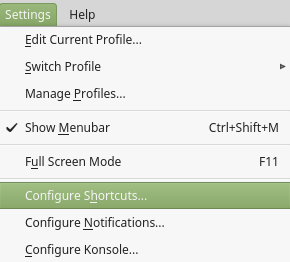 Default keyboard shortcut is Shift + Left/Right Arrow. If you’re used to other keyboard shortcuts like Ctrl + PgUp/PgDn which are common in Google Chrome then you can add new shortcuts easily. Type word tab into Search field. Find item Next tab. Click column Alternate. Click button with title None. Now you can define a keyboard shortcut. Press Ctrl + PgUp. Find item Previous tab. Click column Alternate and button with title None. Press Ctrl + PgDown. Click OK to confirm your configuration. Now you can enjoy new configuration. If you like this tip or you’d like some other hint about Linux let me know in the comments section bellow. 13. 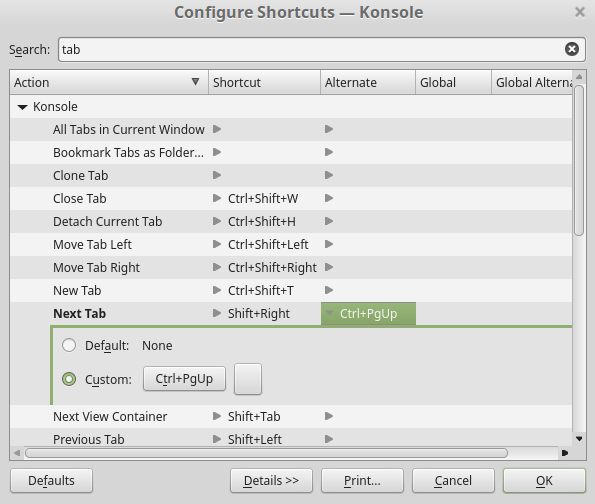 March 2017 at 21:33 - Software engineering (Tags: KDE, keyboard shortcut, Konsole, linux). Both comments and pings are currently closed. 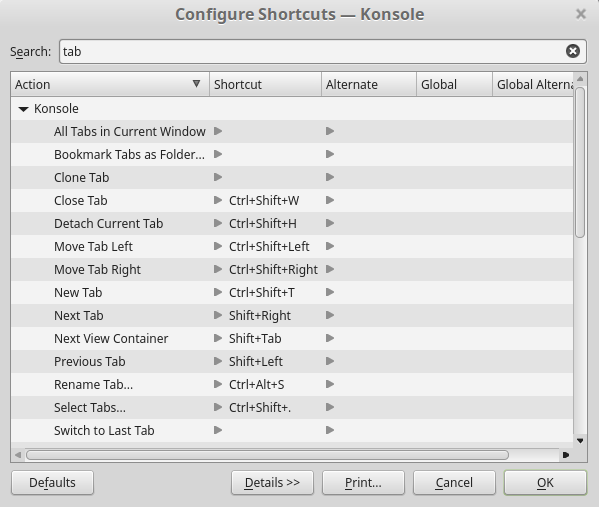 konsole include only "Switch to Last tab" and "Switch to Tab1,2,3,4…"
thak you for your comment. It’s great to share experience from other distributions with community. The article is based on openSuse Thumbleweed, maybe the version is little bit different.